This week saw Chester Ladies 2's trek across, through blinding blizzards, to the Cheshire swathe of Macclesfield. With only 10 players available the task was already going to be challenging, but the weather conditions added to Chester's woes. Upon arriving at the pitch, the men's game being played before had just been called off 3/4 of the way through because of the weather. Undeterred the ladies' captains and 2 umpires checked the pitch and declared it playable. Game on. In a show of true club spirit, Chester's manager, who last played outfield before Harry Potter was born, Tony Blair was prime minister and Katrina and the waves won the Eurovision Song Contest, donned 327 layers of clothing and and took to the field. Chester now had a full team. The game started with Chester having all the play and several attacks on goal. After 15 minutes however, Macclesfield found their way into the Chester half and circle then found the back of the goal. 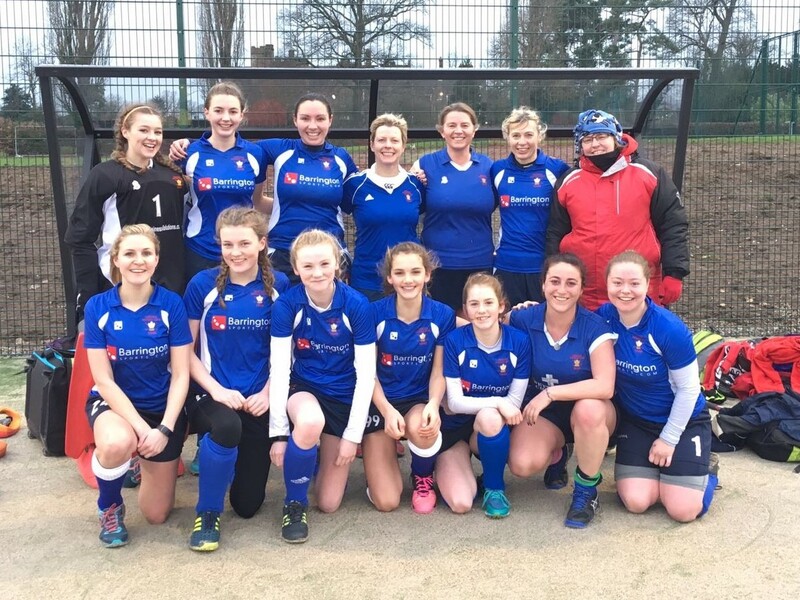 Chester kept their heads up though and continued to fight, managing to get a goal back through Ryanne Bardgett, the Chester Bermudian who has never played in snow before and didn't enjoy 'having ice thrown at her' as she played, stating 'give me a hurricane any day'. 5 minutes before half time the blizzard conditions stepped up which resulted in players being unable to see the line or at times, each other. Play was stopped. It was decided to wait to see if it cleared. It did and the players came back out to continue the battle. The wind was strong and the temperature had by now dropped further with the met office giving a 'feels like -8' forecast. Hands and fingers were so cold holding the stick was difficult and the driving snow was blinding at times but the game continued. Macclesfield drew first blood again in the second half. Chester however, showed true grit and determination and from a penalty corner Meghan Whan slotted the equaliser home. The final whistle blew and it brought a greater cheer than the goal scoring, from both sides. Final score 2-2.